Posted August 30th, 2018 by Mobile Music School & filed under Educational - How to Guides. Welcome to the very first series of our Tutor How-to Guides! This music education series will give you an inside look into what we teach in our classroom music programmes. Get to know our professional music tutors, their teaching style, and use our music lesson plans with the children in your classroom. MMS tutor Karen will share two songs that go down a treat when beginning and finishing a music lesson. Warm up the class and get everyone involved and energized in some fun-filled classroom music with “Who’s Here Today”. This is a great way to introduce children and get to know their names. Switch between clapping hands, tapping noses, or any other imaginative rhythms and beats your class can think of. Great for both students and teachers, “How Still Can You Be” is the perfect way to wind down the class. The aim of the activity is for children to sit as quietly and as still as possible. Children love being rewarded for this – you could choose the best student to be the leader of the line. We would love the opportunity to come and share our passion for music making with your school. Please get in touch with us today to discuss our music programmes or to arrange for us to drop out. 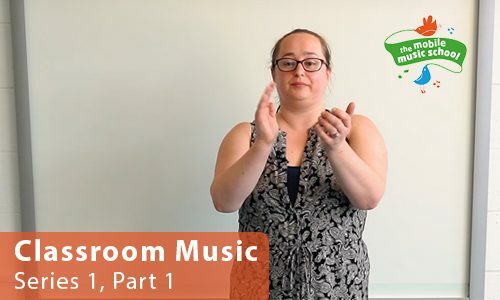 MMS tutor how-to guides: Classroom Music – Series 1, Part 2 coming next week!